So i just noticed this random msg from ngone, it seems now PSTalent.com has become the location of spam mail too. Oh well deleted that garbage. 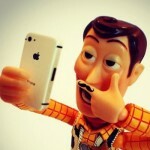 You got it to, I thought I was the only one who got it. Now I know its a spam. Yeah I got one too googled the email and found out this user posts the same message to different sites. Just ignore it. OK that was one amazing video of The Castle part 2, the dance and song worked perfect. Congrats to DOD,Coco and all PS Talent members who participated in that second coming of a PS Home Cult Classic…excellent job. I will be buying it, but I will probably buy it next year. I won’t be getting one until next year either cuz I need to save up money for it, especially with Christmas around the corner and needing to shop for the fam. I’m not in a rush, but happy for those that got one now. Attending the EU premier as I missed the NA one. I have no link or official press release of E3 coming to Home, I am just assuming it will as it has the past few years. What we need now for PS talent is membership clothing, of course you would have to purchase them but would be a good idea. Oh and just got home from work now I shall sign on and figure out what I will wear to the Show. 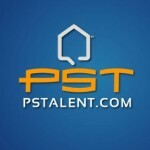 Like a blue or black shirt with PSTalent logo? Maybe a hat with same thing? Well I really need to come on here more often lol though I do my promoting of PS Talent on Home when I encounter Users who are interested in acting, I give them the site and say sign up and watch the promos in the theater. Now I think Acorn would be a great location for a film…not sure what yet but the site is perfect. 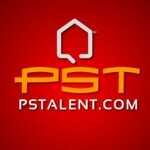 Wishing Everyone of PsTalent a Happy New Year. That’s great news Zee! Thanks!